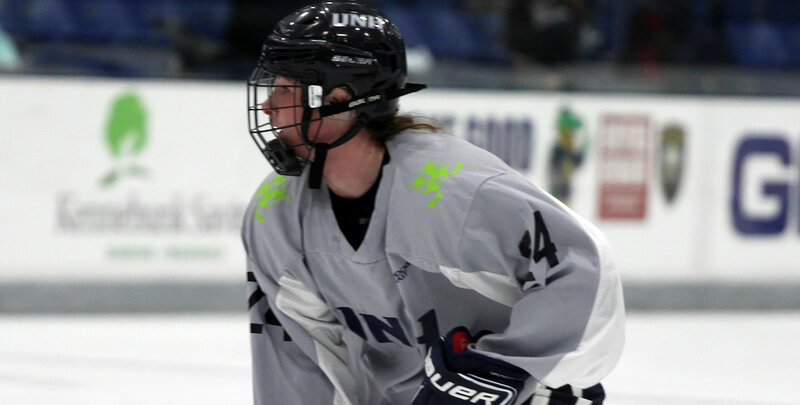 DURHAM, N.H. - After tying on Saturday with Rensselaer, the University of New Hampshire women's ice hockey team answered back with two goals in the first two periods to take down RPI by a final score of 4-1 on Sunday afternoon. The Wildcats were led by junior forward Meghara McManus (Milton, Mass.) who tallied two goals in the contest, including one on the power play, and sophomore Maddie Truax (Gardner, Mass.) who tallied the game-winner. Freshman Lauren Martin (Cambridge, Ontario) also notched her first collegiate goal in the second period. Senior captain Kyra Smith (Littleton, Colo.) stopped 20 of 21 RPI shots for her second win of the season. Her record now stands at 2-4-1. The Wildcats outshot the Engineers 22-3 in the first and 17-5 in the second periods. Next up for the 'Cats is a home-and-home series with Merrimack College, starting Friday, November 30, at the Whittemore Center at 7 P.M. For tickets, visit UNHWildcats.com or call (603)862-4000. Date: Nov. 25, 2018 - 2 P.M.
- UNH was able to strike first, just minutes after their power play expired, when a slapshot by Tori Howran (Bancroft, Ontario) was deflected in front by McManus to put UNH up 1-0 6:47 into the first. - The Wildcats struck again in the first, with Abby Chapman (Beverly Hills, Mich.) winning a faceoff to Lindsey Dumond (Hampton, N.H.) who took a shot on net; after the initial save, the puck bounced into the crease for an awaiting Maddie Truax, who notched her second of the season 16:50 into the first period. - UNH extended its lead just 1:43 into the second period when Lauren Martin picked off an errant RPI pass behind the net, and passed out in front to Taylor Wenczkowski (Rochester, N.H.). Wenczkowski shot the puck on net, and the save bounced over the head of Bombay where Martin picked it out of the air and back-handed it in. - McManus tallied her second of the game on a power play 16:58 into the second period; Martin found the puck behind the net and passed in front to Marie-Jo Pelletier (Dalhousie, New Brunswick) who then passed from right to left in the crease to a waiting McManus who beat Bombay on her stick side. - Rensselaer got on the board 1:40 into the third period on a shot from the left-side point by Joesfine Hanson. Her shot hit the right post and bounced into the net. - The Engineers outshot the Wildcats 13-8 in the third, but could only manage the one goal. - With two goals, Meghara McManus now has three career games multi-goal games and eight career multi-point games. - With two assists, Taylor Wenczkowski has notched her second career multi-assist game and fifth career multi-point game. - Lauren Martin tallied her first career goal in the contest, along with an assist for six points on the year. It's her second multi-point game of the season. - For the first time since 2015, a game between the Wildcats and the Engineers ended with a winner. (Nov 28, 2015, UNH win 2-1). The Wildcats are now 5-0-4 all-time when facing the Engineers.